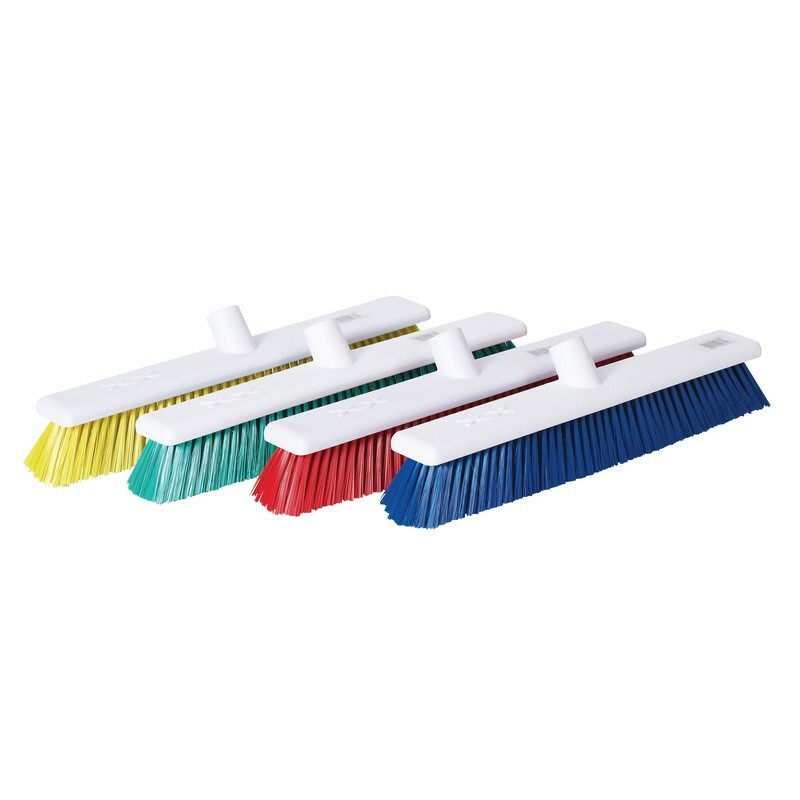 The System Hygiene 18" soft hygiene brush head is a very popular brush for food factories and catering establishments. Fully colour coded stock and filaments for enhanced colour coding designed to stop cross-contamination. Suitable for sweeping medium particles and can be used in both dry and damp environments. Ideal for use in smaller areas within a food production environment. Fully colour coded for segregation and HACCP. This brush is designed to be used with the System colour coded handle. Can be cleaned upto 85° C.